France: no doubt one of the most romantic counties in the world and a country I am honored to visit for work. 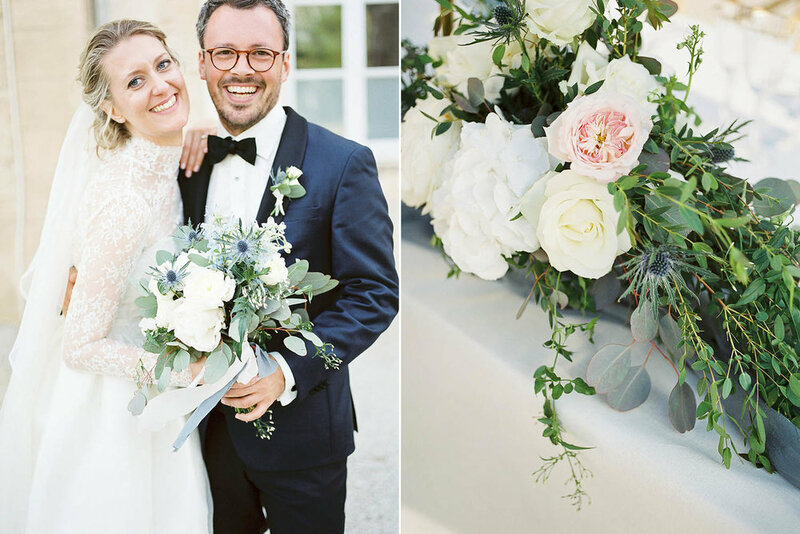 In the most idyllic setting, on a sun-drenched day, this beautiful couple said their vows among friends and family at Chateau de Varennes, one of France’s prettiest Chateaux. Destination weddings take a lot of work. They are often planned heavily by trusted wedding planners as the couple does not live nearby - design choices, logistic choices, and all choices (really) are slightly more labor intensive. But I am so fond of destination weddings, especially in pretty France, for the enchantment that not only guests feel, but the couple! To get married in a “neutral territory” if the couple is from two different places or a place that many have not visited yet is so magical! Sign up, to receive the latest blog news, fun behind the scenes stories and travel notifications from Tanja Kibogo Photography.